Made from old coconut trees that are cut down when they’re old and no longer produce coconuts. Historically treated as waste, coconut wood performs as well as hardwood and is a commercially viable substitute for rainforest hardwood. Coconut wood has a beautiful, distinctively unique pattern. No two sporks are the same! 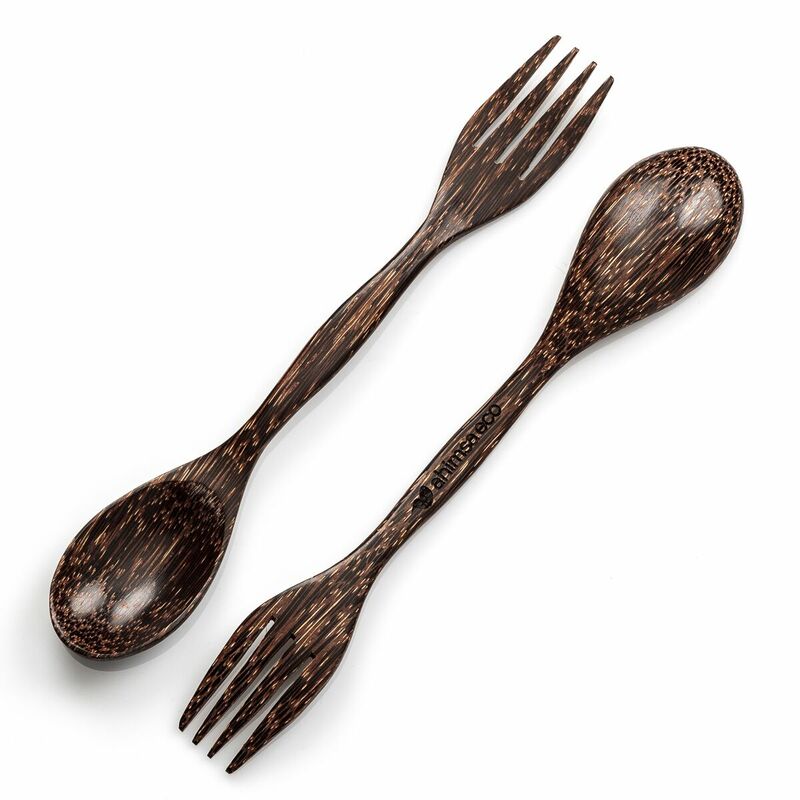 If you use your upcycled coconut wood spork at every meal, you alone can prevent as many as 2,190 plastic spoons and forks from going to landfill every year! Small actions, big impact!